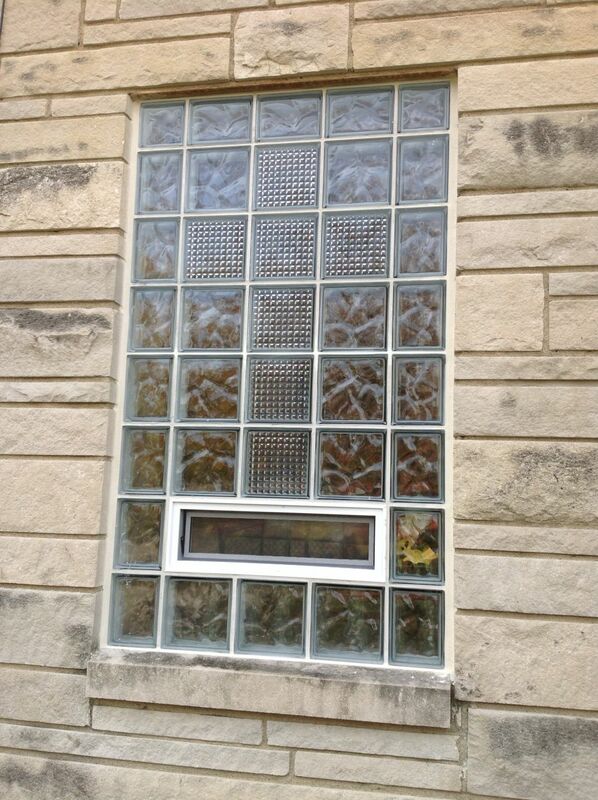 When Hope Lutheran Church of Columbus Ohio went looking to replace their windows which “leaked liked crazy” according to Pastor Carl Rayburn not just any type of window would do. 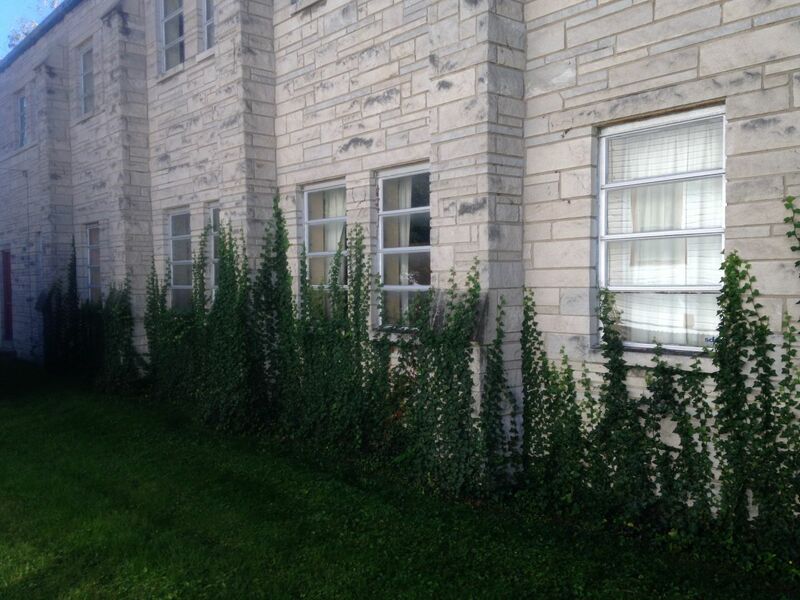 The church needed replacement windows which would not only make the space more comfortable, but would also offer enhanced security vs. the old single pane windows. During the next year and a half Pastor Rayburn along with his committee evaluated options and came to conclusion that commercial grade glass block windows would be the best choice. Learn more below about the design, fabrication and installation approach for the glass blocks used in this project. 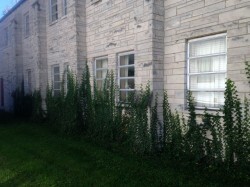 While a key benefit of the glass block windows was to provide a tight seal and secure environment in the Fellowship hall, storage rooms and bathrooms of Hope Lutheran – it was also important to add privacy and enhance the outside appearance (note: these windows were located on the front, side and back of the building). With the assistance of John Carter of the Columbus Glass Block division of Innovate Building Solutions a moderate privacy “wave” glass block pattern was chosen. To add style John suggested using a contrasting “pristal” (diamond) glass block pattern to make a cross in the windows. 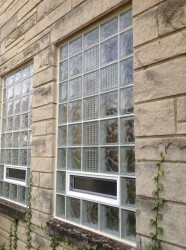 In addition to provide ventilation glass block air vents were placed in the windows. John had them designed to be in the lower courses of the windows so they would be easy to reach. For a high level of security John recommended to the committee using mortared glass block windows with wire supports embedded in the blocks’ coursing. The installation team (lead by Sean Malmsberry and Isaac Clark) installed premade glass block window sections which greatly reduced the amount of time on the site and cut down the amount of time any opening was exposed to the outside elements. In fact these 23 large commercial windows were actually installed by the two man team in 3 days! 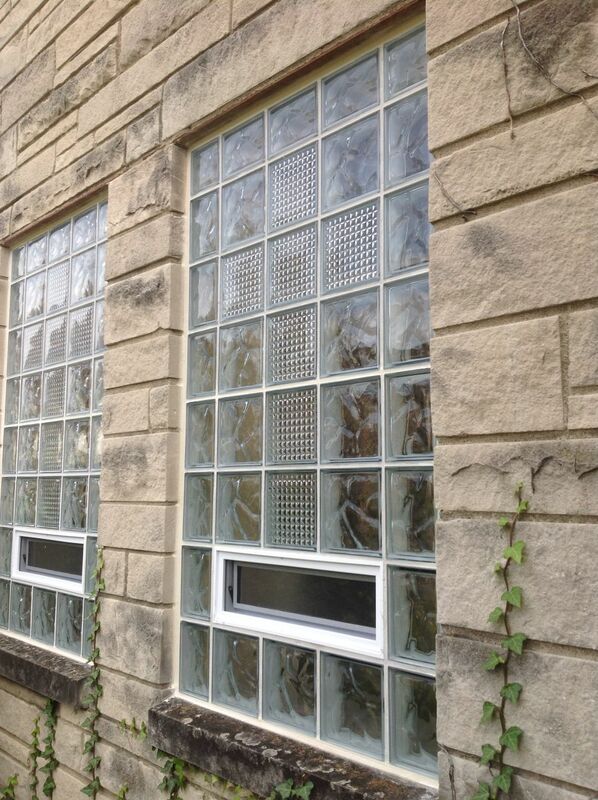 What do you think about the replacement church windows with glass blocks? Please comment below. 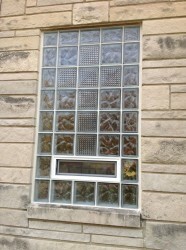 To learn more about the use of commercial church glass block windows or get a free quotation visit or call Innovate Building Solutions on a nationwide basis (877-668-5888) or for a local project their divisions including Columbus Glass Block (614-252-5888), Cleveland Glass Block (216-531-6363), West Side Glass Block (216-398-1020) or Mid America Glass Block (513-742-5900) of Cincinnati or Dayton and Akron (330-633-2900). This article was authored by Mike Foti.